Livingston CARES is a non-profit humanitarian organization dedicated to assisting communities and individuals locally, regionally, nationwide, and globally in humanitarian projects, including disaster relief and recovery efforts. In September 2005, our organization began as a response to Hurricane Katrina's devastation along the Gulf Coast. We are a collaborative effort among SUNY Geneseo groups and organizations and the surrounding Livingston County, New York community. Although the original 10 year commitment to assist the people and communities of Harrison County, Mississippi rebuild their homes and lives was completed in 2016, Livingston CARES continues to work in communities impacted by natural disasters to help low income families with housing and other projects. Since January 2006, 974 volunteers have participated in 40 service trips to areas devastated by natural disasters. Our volunteers have done it all---demolishing houses, installing sheetrock, painting, beautifying grounds at an elementary school, and everything in between. To hear more about our past work trips and volunteer experiences, click here. 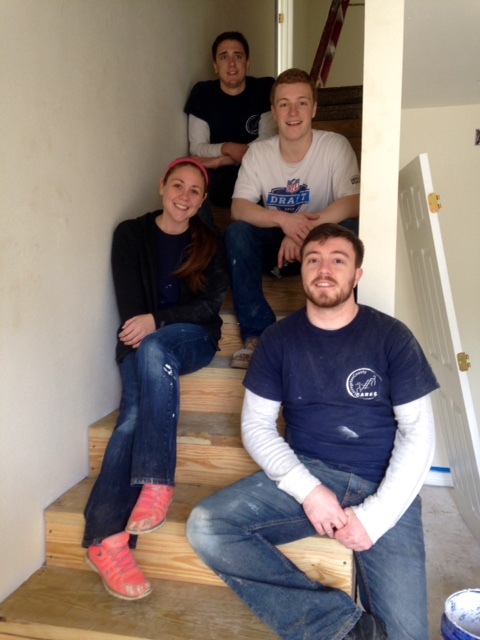 Since January of 2013, 127 volunteers have completed similar home projects on 15 Staten Island, Brooklyn and Long Island service trips to help families recover from Hurricane Sandy. In 2018, 61 volunteers participated in six service trips in response to the fall 2017 Hurricanes (Harvey, Irma and Maria) to help families in Texas, Florida and Puerto Rico. Service trips to all three areas are planned in 2019. See the service trips pages for details. Livingston CARES is also involved in local projects in Livingston County. For instance, annually, students from SUNY Geneseo and community volunteers participate in service activities in almost every town and village in the county in "Geneseo Goes to Town." The next date for this community event is April 6, 2019. Questions regarding Livingston CARES may be directed to Tom Matthews at matthews@geneseo.edu or 585-245-5857 or Garth Freeman at freemang@geneseo.edu or 585-245-5893. Livingston CARES has created a special fund to respond to the states and communities impacted by Hurricane Florence and Hurricane Michael. All donations to this fund will go to support efforts that will directly help low-income families recover from the damage caused by the hurricanes. Livingston CARES will work with local agencies in those locations to ensure that all donations are used wisely to help individuals and families recover from the hurricane. Donate now. Our 2019 Alternative Break Service Trips with Livingston CARES have all been scheduled and filled! We will begin coordinating our 2020 trips soon. For information on our current trips visit the Service Trips tab on the left for more details. 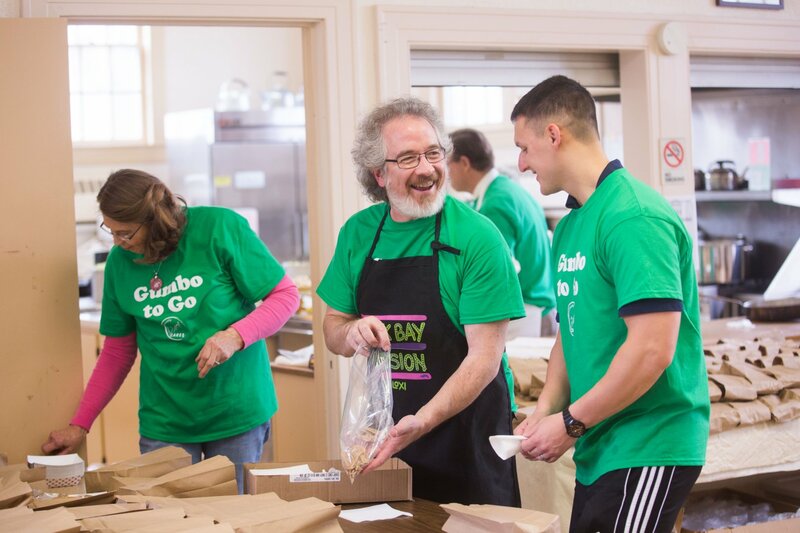 Gumbo to Go is Livingston CARES major fundraiser for its community service programs. The Gumbo to Go dinner is held twice a year. Enjoy a delicious dinner, take a night off from cooking & support Livingston CARES! Geneseo Central Presbyterian Church, Corner of Center & Second Sts.